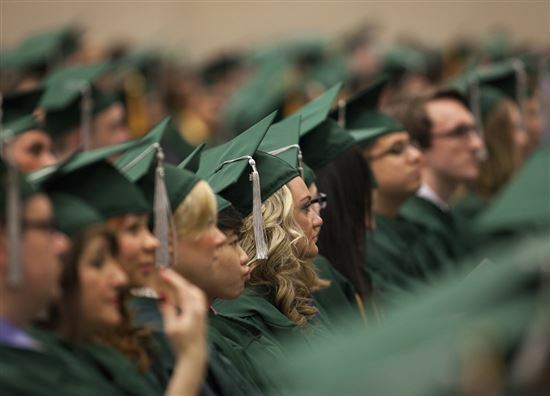 College students graduates with an average of $37,000 in student loan debt. Some have as much as $121,000. How do your student loans stack up? What percentage of students are in debt? 70% of college graduates carry some type of student loan debt. It is quickly becoming one of the most expensive debts in the United States. Today's grads leave college with an average debt of $37,172, according to Mark Kantrowitz. This marks a 6% increase over the previous year. How many student borrowers have federal student loans? The total amount of Federal student borrowers is now at 42.3 million borrowers. Borrowing for student loans has steadily decreased since 2012, but there are still over 7 million new student borrowers each year. Key Fact: The total amount of student loan debt in the U.S. totalled States $1.4 trillion in 2017. That's second only to mortgages and well above the average credit card debt. What is the average debt for a Bachelor's degree? Graduates with a Bachelor's degree leave college with around $35,000 in debt. This is the high-end average. 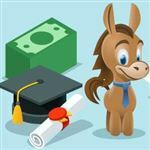 What is the average student loan debt for a Master's? 40% of federal student loans go to graduate students. The average Master's degree graduate has $59,000 in student debt. For the best ways to paying off student loans early, check out our article. What is the average student loan debt for a PhD? Ph.D. students graduate with an average debt of $156,100, according to the National Center for Education Statistics. Health and Medicine Ph.D. students have it worse, at an average of $224,200. What is the average student loan debt for lawyers? That esq after your name comes at an expense. The average law student graduates with $84,000 in debt from a public college. Those who prefer a private college have a whopping $121,000 in debt. What is the average student loan debt for doctors? 35% of medical students have more than $200,000 in debt when they leave school. 21% have between $150,000 and $200,000 while 31% have less than $150,000. Unfortunately, only 5% of medical school graduates are aware of their options for loan repayment. What is the average student loan debt for teachers? Teachers with a Master's degree have an average of $50,000 in student loan debt. But there are several loan forgiveness programs available. What is the average student loan debt for nurses? Nurses graduate college with an average of $40,000 to $55,000 in student loan debt. With nurses making an average salary of $72,000, that debt can take some time to pay off. 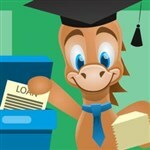 Have questions or concerns about your student loans? Visit Federal StudentAid. You can also use the repayment estimator to see how much you will need to pay each month. What group has the most student loan borrowers? Student Loan Debt in your 40's: Student loan isn't just a young person's problem. 7.3 million student loan borrowers are aged 40 and older. Borrowers in their 40s still have an average balance of $33,765. How many students take out private student loans? Thanks to the rising cost of tuition, as many as 1.4 million students now use private student loans. They often do so to make up the difference in what federal loans don't cover. How much of student loan debt comes from private loans? Private loan debt is at roughly $115 billion. This includes both graduate and undergraduates loans. What is the average interest rate on private student loans? Private student loans cost borrowers 3.3 - 5.2 points more than federal loans. The average variable rate is 7.81% and the average fixed rate is 9.66%. Private loans usually have variable interest rates. As the name suggests, these rates may change over time. Direct Subsidized, Unsubsidized loans for undergraduates and graduates and PLUS loans for parents have fixed interest rates. These vary while you incur them. But once granted they remain fixed. What is the average student loan monthly payment? Graduates pay an average of $351 per month for student loans. 50% of graduates have a monthly payment of less than $203, while 25% pay between $203 and $400 a month. What is the average interest rate on federal student loans? Undergraduates with unsubsidized federal student loans pay an average interest rate of 4.45% on their loans. That's 0.69 points higher than last year's rate for new borrowers. What is the average time to pay off student loans? The Standard Student Repayment Plan offers 10-year plans. Unfortunately for most grads, 20 years is more common. You Should Know: The Federal Government provides you with 4 different income-driven repayment plans. These options can lower your monthly payments and extend the life of your loan to make repayment manageable. Just remember - the longer you repay the more time interest will have to accrue. Which means you'll be paying more in the long run. What is the minimum monthly payment on the Standard Repayment Plan? Your monthly payment may start at $50 on the Standard Repayment Plan. Payments are made for a maximum of 10 years. What if I don't make my monthly payment? If you fail to make monthly payments on your loans for 270 days, your loans will enter default with the federal government. After 360 days your loans will enter collections. At this time the government may elect to seize your taxes or garnish your wages to collect this past due amount. Your credit score may also drop up to 200 points. Read more on defaulting in the next section. What does it mean to have delinquent student loans? In simplest terms, it means you haven't paid as promised. Loans are technically delinquent on the first day after missing a payment. After your loan has been delinquent for at least 90 days, your loan provider will report the delinquency to the three major credit bureaus. What does defaulting on student loans mean? Loans are considered to be in default if they have been delinquent for an extended period of time. Different types of loans go into default at different points, though some are considered in default after as many as 270 days. Loan forgiveness may help you escape student loan debt. Check out our article to learn more. How much of student loan debt is in default or delinquent? 10.7% of student loan debt - or roughly $150B - is either delinquent or in default, according to the Federal Reserve. How does defaulting on student loans affect your finances? If your loans are in default, your wages may be garnished. Any tax refunds or federal benefit payments can be also withheld and applied toward your repayment. You may also be subject to fees as a part of the collection process. How will defaulting on loans affect your credit score? If your loan provider reports a defaulted loan to the credit bureaus, your score may decrease by 70-100 points. The default will also stay on your credit report for 7-10 years. If you can't make payments on your federal student loans, consider applying for a forbearance or a deferment. A forbearance is valid for up to 12 months at a time and will help with any type of financial difficulties. A deferment is valid for up to six months at a time and will help with job loss, returning to school and financial issues. You are given three years with both options. What is the average cost of an in-state public college? Attending college in state costs an average of $24,610 to go to college. That's less than many private schools but still not exactly cheap. What is the average cost of tuition at an in-state public college? Tuition at a public 4-year, in-state college costs an average of $9,970. If you are thinking of heading out of state for a public college, expect to pay almost 3 times as much for tuition. What is the average cost of room and board at an in-state public college? Room and board at an in-state college cost more than tuition. Expect to spend at least $10,800 on room and board. What is the average cost of a private college? Private colleges are known to cost more. Today, expect to pay an average of $49,320 for private college life. What is the average cost of room and board at a private college? At $12,210, room and board at a private college cost around $2,000 more than an in-state public college. This is a 3% increase over last year's average room and board. Before you take on student loans, consider the long-term implications. If you already have student loans, explore your repayment options. You may be eligible for loan forgiveness. Knowing your options can help you get out of student loan debt faster. Share on Facebook "Average Student Loan Debt Will Scare You"